To appreciate why my review is below average you will need to see 'Why did I get married' Basically you have four couples in the original and each have their issues and by the end each issue is resolved one way or the other. So the problem for the sequel is how do you follow up on issues that have already been resolved. The answer is to create new issues or rehash old ones. This is how the sequel goes. So we have four couples each dealing with issues again. Now there's nothing wrong with that if the issues are plausible and played out properly and have credible endings. This is where 'Why did I get married too' goes sadly wrong. Some issues were credible but the endings were not or were not given an ending whilst the most prominent issue, well I'm struggling to understand what it actually was. I had no empathy with the female lead and felt that she should have been charged with crime and I think in real life most of those characters would have nothing to do with her after what she directly caused. Sadly this is a sequel that should never have been and I can only speculate that it failed because a certain actress only signed up for the sequel so she could have the most prominent role and in so giving it to her the movie failed. You will know to whom I refer when you watch this movie. So watch this movie if only to understand why a lot of sequels fail miserably as this one did! 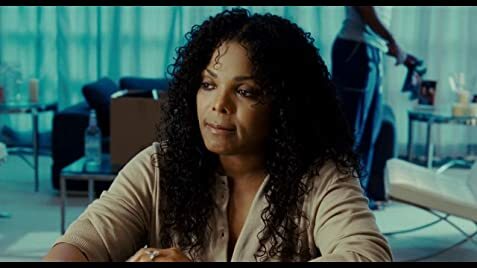 Janet Jackson first learned of her pop-star brother, Michael's death on June 25, 2009, while filming this movie. The scene where Angela confronts the gardener in her bedroom with the pistol, she waves the pistol around with the barrel clearly visible and the slide to the rear, which indicates that the chamber and magazine are both empty. Moments later she fires another shot, but has not reloaded the pistol.